Contacting a cancer coach is likely the last thing on your already overburdened mind. Between the shock of diagnosis and comprehending all of the new medical jargon, the experience can be overwhelming. Compounding the problem is anxiety about treatment options, possible side effects and, well… wondering if the cancer is survivable! This is why you may want to consider reaching out to a coach. No one can make informed decisions when they are operating out of fear. A cancer coach can help dispel that fear, to guide you during this most difficult time, and can make a huge difference. More often than not, cancer coaches have been through cancer themselves and have beaten it. They know, like no one else knows, all about the shock of diagnosis and the resulting stress. They have experienced firsthand the anxiety for the future and what it may hold, and what may lie ahead. Through their personal experiences and training, they have acquired skills to help others through the minefield that cancer can be. Okay, you have cancer. Likely your mind is spinning out of control. Worry, anxiety, and fear become part of everyday living. A cancer coach is well practiced in helping you to understand your diagnosis (in many cases the over-worked oncologist doesn’t have time to do this properly). They can help you understand the treatments that have been prescribed for you, and explain why each treatment is being recommended. Your coach is there to dispel your fear and empower you to make educated decisions. Perhaps you question the efficacy of the treatments prescribed, yet your objections fall on deaf ears. This can happen even if you have a good network of specialists such as oncologist, radiation oncologist, naturopath, or integrative oncologist, dietician, and/or psychological counselor. A cancer coach can help to bring all of these disciplines together. To unite the advice, to integrate, and to make sense of it all so that a holistic plan can be formulated. If you are like most people, once the initial shock of the diagnosis has worn off, you run to the internet. You proceed to spend hours upon hours doing research on every aspect of your type of cancer and the treatments recommended. Not only is this exhausting, but it is often not in your best interest. First of all, your time could be better utilized doing some very key things that will help you to begin to heal. You might want to use your time to start some stress-reduction activities such as meditation, massage, Reiki, or yoga. Further, you will invariably come upon an online chat forum where people are discussing their own journey with cancer. While this might sound helpful, it can also be extremely scary to read. This can lead to endless and often unnecessary worry, and sometimes despair. You are an individual with cancer, and every case is different. While doing some research can certainly be helpful, having your cancer coach do the bulk of it frees up hours of time and energy for you. There may also be options well beyond what you have heard from your medical team. What you may not realize is that much of what you hear from your allopathic medical team is given to you based on statistics − statistics that may or may not apply to you as an individual with cancer. Fear and anxiety are to be expected. A cancer coach will help allay your fear and worries, both during the treatment phase and beyond. He or she will offer methods of coping with the anxiety of not knowing what the future may hold. A coach will be there to support you and monitor how you are doing emotionally. They may offer assistance with meditation training and relaxation techniques, etc. Your coach will help you to release old emotional traumas and repressed emotions so that healing is not impeded. Having access to a coach is a blessing that cannot be overestimated. 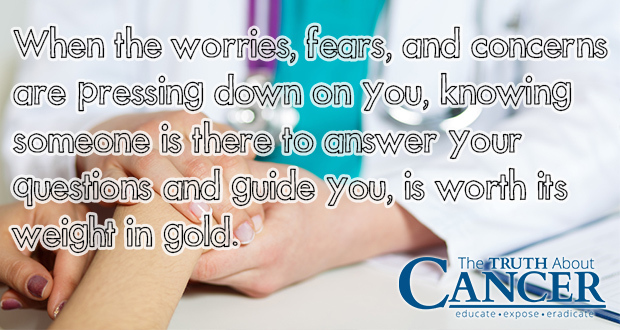 When the worries, fears, and concerns are pressing down on you, knowing someone is there to answer your questions and guide you is worth its weight in gold. Your coach is there to give hope… and there is always hope. A cancer coach can assist you in formulating a customized healing plan. 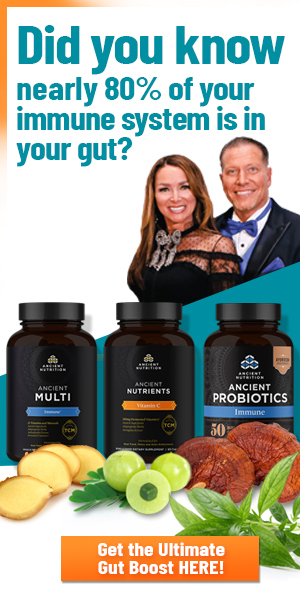 They will take into account your diet and other lifestyle factors, past health history, and the treatments you are considering, currently receiving or have already had. By incorporating dietary changes, targeting supplements, stress reduction techniques, psychological counseling, and a whole host of other mind-body healing techniques, your coach will have a plan that fits you. Just as each person is totally unique and different, the healing plan also differs from person to person. Each cancer has its own cause and needs its own remedy. In this way, the whole person is treated, not just a collection of rogue cancer cells. Often the cancer patient has no idea what to expect while going through treatments. It is the cancer coach’s expertise with regard to the usual side effects of those treatments that helps the patient to set realistic goals. Knowing the road ahead, such as whether you will be able to continue working or playing sports, take a family holiday, or take on additional responsibilities can be extremely helpful. An experienced cancer coach has a collection of remedies that will help to combat (if not avoid entirely) the usual side effects from allopathic medical treatments. These side effects include (but are not limited to) mouth sores, nausea, nail loss, indigestion, constipation, radiation burns, and more. Your coach will be able to share some very particular things that will help to alleviate these unpleasant problems, thus easing your discomfort and improving quality of life. Cancer coaches are continually reading the latest research and attending conferences to stay abreast of options. They are knowledgeable about which foods, herbs, supplements, and natural healing treatments will effectively combat cancer cells and boost the immune system. Cancer coaches work with cancer patients continuously, so not only do they read the research, they also have active experience with patients who have benefitted from a particular treatment or nutritional therapy. They know which natural therapies often work best and which ones are not as reliable, so they can help you save time, effort, and money. A cancer coach’s job is not over when treatment ends. Your coach is also there to educate you as to specific nutritional, herbal, and lifestyle changes that can be utilized to help prevent recurrence of the disease. In the case of extremely advanced cancer cases, a coach is able, in many cases, to help the patient extend survival time and prepare for what lies ahead. Certainly it is true that not everyone can be saved from the ravages of cancer. However, when using the services of a cancer coach, a patient is empowered with a huge amount of information he or she may not otherwise have received. And, in this cancer coach’s experience, empowered patients live longer and fare much better than those who simply follow their doctor’s orders. 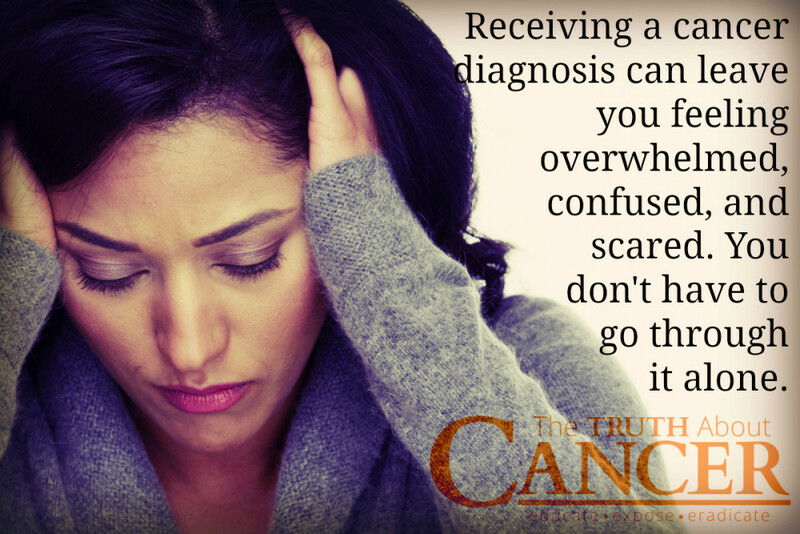 Receiving a cancer diagnosis usually leaves people feeling overwhelmed, confused, and scared. More often than not, cancer coaches have been through cancer themselves and have beaten it. Through their personal experiences and training, they have acquired skills to help others through the cancer minefield. I do Cancer Coaching and have for many years, involved in healing works for decades, 31 year Vegan and juicer with intuitive and practical skills. 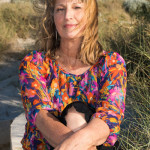 http://www.naturallywithkaren.com – you can peruse my website and contact me if you wish to. Many of my clients are by telephone or Skype. I help clients who both use and do not use Western Allopathic medicine. Suzanne is there any way we can get in touch with you? I would like specific information on where to go or who to contact for clove oil treatment and other treatments for breast cancer.. so far in everything I’ve found there are no answers. cancerharbors.com is a different approach. An alternative, so to speak, to some of the misinformation. Developed by a nurse and educator. Read through the website and check it out. There are too many people out there practicing medicine without a license, including some of the comments above. Cancer Harbors educates survivors, patients, caregivers, even healthcare providers, in how to interpret and understand the over abundance of information out there, gives practical support and builds skills in self-care and health literacy. I have stage 4 colon cancer (metastatic to my lung) that was diagnosed in November of 2013. I had chemo and surgery. Since then I’ve dramatically changed my diet. I cut out sugar, red meat etc. and ate fruits and vegetables mostly. In June of 2016 a scan revealed more tumor growth in the same lung but now also in my other lung and liver. I immediately went on the Budwig protocol and have been following it very closely. My oncologist has agreed to work with me as I try this path and continues to see me and orders blood work for me. I began this protocol in July but today’s blood work results showed my tumor markers to continue to rise. I’m going to see my oncologist again today and plan on telling him that I will continue to stay my current course. Do any of you have any feedback for me? I recommend reading the book “Anti cancer – a new way of life” by David Servan-Schreiber – he talks about a number of ways to overcome cancer, all of which I used to recover from 3 types of cancer in 1987. Complementary therapies which provide healing are very effective and include important factors such as nutrition, physical activity, relaxation, and stress management. I believe that the mind-body connection is one of the main factors that helps me to be well and Neuroscience is starting to prove how the brain and body are changed with positive attitude and self talk. I wish you well Jim. I have many years of experience helping people reverse disease as a Coach. How do you find no cancer coaches when you need one? I love all of the information here but it’s so overwhelming. And most importantly, How do I find these doctors that treat cancer the natural way? Hopefully that helps you to find a holistic doctor to help you heal your cancer naturally. Is there a cancer coach program or certification you would recommend? We don’t have a specific cancer coach program that we recommend. Best wishes!